Grandma J is always on the lookout for the next to die for product that will make her life more fun. 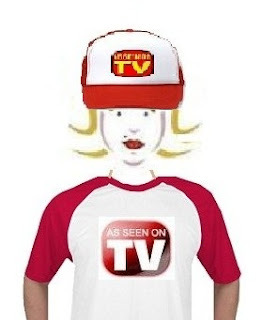 Most of those products are under the consumer category known as, As Seen On TV. It's been a while since Grandma J saw a TV product that could compare to the Shamwow that she thought she couldn't live without. More recently, Grandma J laughed at and showed some interest in The Bango, and inquired if either of her readers had bought it. She did buy the Microfiber Cleaning Slippers for certain family members for Christmas one year. Over the weekend, Grandma J decided she needed a break from watching Big Brother 13 life feeds for hours on end. So, she updated several of her Words With Friends games ventured out to buy her lastest As Seen On TV item that she just had to have. 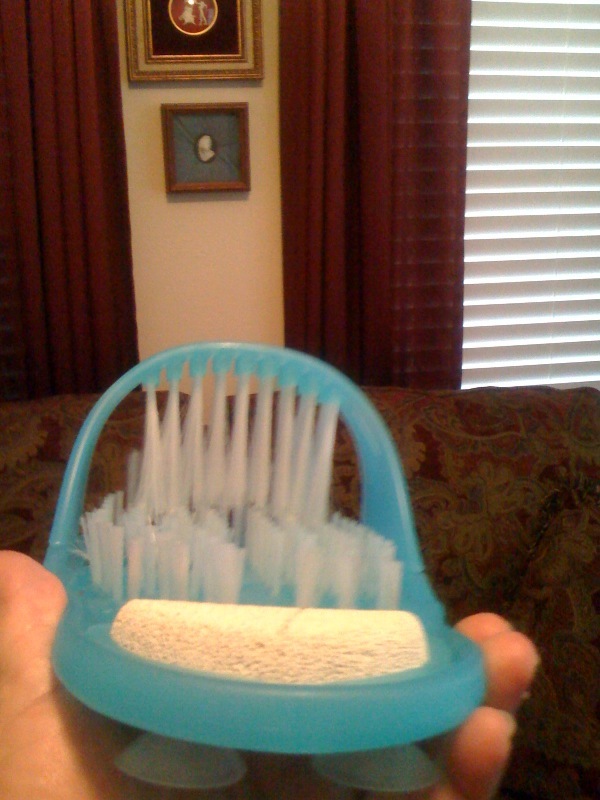 The Easyfeet foot scrubber, massager. Since Grandma J is a barefoot contessa, she knew she'd la la love this product. She also knew that Michelle, her nail girl would be thrilled too. 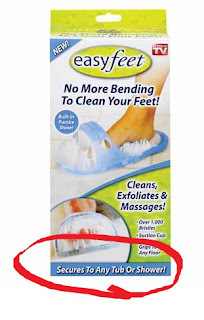 This looks like a drive-thru car wash for feet.....look at all those bristles. And a cracked pumice stone for the heal. Look at those suction cups on the bottom! 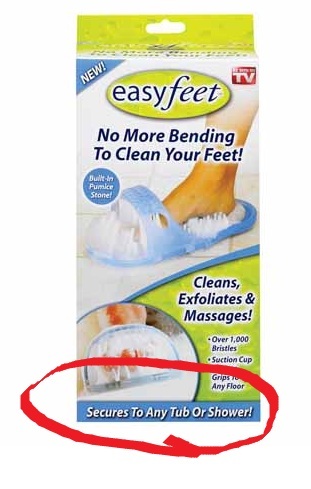 This is the best part, because they will hold the Easyfeet steady while you work the scrubbing action. So, looky hear! Grandma J is really working it....and almost went flying on her hind end. 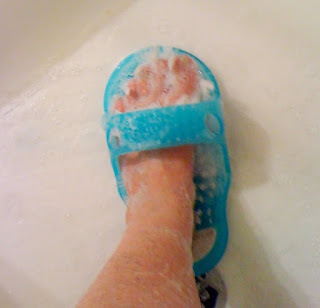 Seems those little suction cups wouldn't suction onto Grandma J's shower floor! You would think that once she put her weight on the Easyfoot, it would suction on to sand, or just about anything! 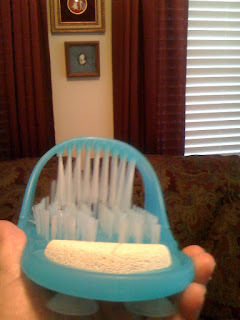 So....warning, if you buy this product, make sure it is steady and the suction cups work in your shower. A "driv-thru car wash for feet" huh? When you're done, do ex-convicts with prison-made tattoos come over to dry your little piggies too? OMG woman you made me laugh so hard iced tea came out of my nose!!! And its clear no toes were harmed in the production of this blog post ... ooh I love Mark's idea of someone to dry those piggies .. ex cons? I think not. I found that it worked best in the corner of the bath tub. It would stop it from moving too far forward. I tried it on the wall and sitting in the bathtub...I too thought it would be a great product, just what I needed...Meh! If you were to end up on your hind end...would JJ be able to call for help? And how would you explain to the first responders? "I was taking my feet through the feet car wash...."
If I had a nickel for every time you cracked me up, well I would be able to fly to TX and treat you to a few pedicures! I am glad you didn't fall and hurt yourself : ) Michelle is going to be so excited about the maintenance you are doing between visits. Good thing you weren't naked on the patio falling on your backside!! How much did you pay for that product???? Karen, it cost 9.95 or something similar. I'm thinking it might make a good dog chew toy for JJ. It's all about the maintenance isn't it? I sooooo want one of those! I finally saw the Magnet Door screen, that was awesome looking too---great for home, RV's or even windows! Heel-Tastic was not so fantastic. 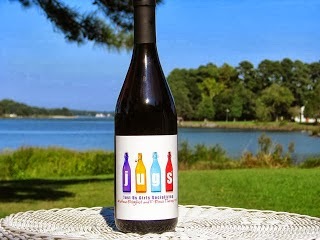 I am glad we have a shared love for As Seen on TV. Thank goodness you didn't fall. And thank you for making me laugh. Gah--I wish I was in my 20s again when I didn't have to worry about a freaking thing. (Of course, at the time--I was too young and stupid to realize it. )Yay me. Of course, I saw those Easy FEET thingies at amazon and just had to try it. I'm going to sit on the edge of the tub and do it, I think--I just can't take the chance on falling on my um--hind end. That--I don't need. 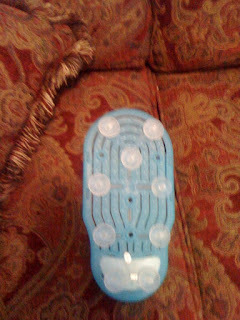 But it can't hurt my feet--they're like lava or something anyway.